EVE Search - Dust on PS4 or PC? ? Is this ever happening? Dust on PS4 or PC? ? Is this ever happening? Friends of mine are playing Dust and I would love to join them, when we are not in Eve. The problem is I was told it;s only available on PS3, seems kind of crazy but what do I know. Are there plans to make this game available n PC or either of the current gen consoles? Going out to buy already obsolete console that already has been replaced with a more current hardware just to play this seems like a bad idea. Thank you for asking! If more capsuleers would ask or show some meager concern for those of us locked in this dying system we might hold out some hope! The door shut behind us. Click. We woke in 'merc quarters'. The doors don't open. While our primary clones (the implanted ones) are held in what we believe to be unmarked stations across the cluster they pit us in gladiatorial combat against our fellow clones. The simulations are very engaging and many Dust survivors don't want to leave. But these locked doors allow some information in and out. We know we can't survive here for long. We heard the life support systems will go offline later this year. Then, we'll be on our own trying to keep PS3s running and O2 pressure up in the MQs. They've invited us back to Tranquility but just enough to peer through the port-holes. Ask them for us, capsuleers. They respond to our pleas no longer. I hope that say sometimes what in addition when it comes out. Has started one month ago with DUST. now it is broken the PS3 and my expensive Skillbooster bought for AURUM go on. With a PC I would say no thing my brother has one there is also EVE on it if I do not hold to my PC to plays is able. now, unfortunately, I must buy to myself a new PS3 and I spend no money still on it. 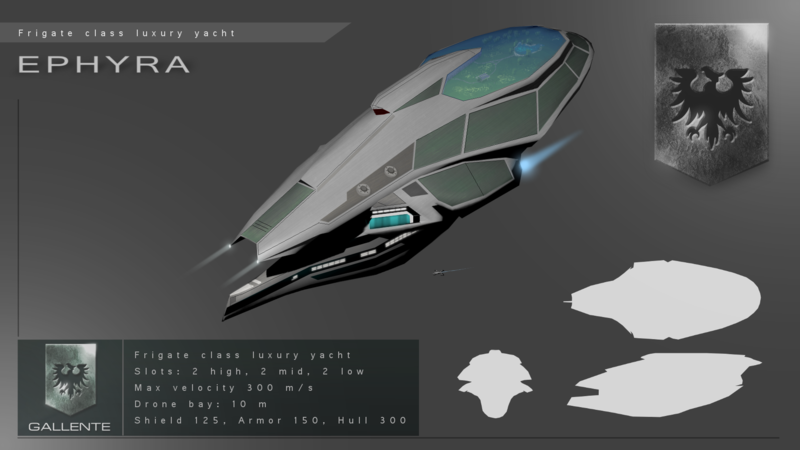 If CCP had made sometimes rather immediately whole for the PC, there they would have at the beginning already more win made. . . I have no words on how much CCP screwed DUST by making it console only. I will just leave that here. I understand why not just not just opinion comes with a date. They behave like the German Federal Government. It's nice to have a lot of CCP Games Seriously though they have the core group of players it has built up on the computer and not console or mobile phone. I don;t mind buying a console so much, though obviously I would rather play it on PC. But for gods sake don;t try to force me to buy one that's already obsolete. I wouldn't take anything BAMM says seriously, he's an amusing joke at best around the DUST forums. Good entertainer, but not the smartest cookie. As for the OP, the status of DUST x86 as we have come to call it, is unknown. Exactly 9 months ago is when we last got news about its status, after that complete silence and CCP is refusing to even comment on if it's even alive or dead. A. CCP took the backlash from FanFest 2014 as a message to stop saying anything until they know for 100% they can and will do something, and that means that despite over a year passing they still don't know with any reasonable certainty if next gen DUST will even happen. B. CCP shelved the project, is milking what's left of DUST on last gen with a skeleton staff on it, and then will abandon the game with the possibility of reviving it 5-6 years later. Either way it doesn't bode well, and the silence is deafening. Considering I spent 3 years of my life on this game, the fact that CCP refuses to even say a word about its future is heartbreaking. This is how you create cynics. Sounds like my brother Cat Merc. We both no better than that. I hope DUST for PC actually happens on a meaningful level. edit: on the other hand, if it's a single shard game with a server based in London, non-Euro players might have considerable lag issues. I can *deal* with the ~500ms lag on EVE, but on an FPS that would make it unplayable. Actually, the way it works in DUST is that while the game connects to tranquility, the battles themselves happen on battle servers across the world. That way unless you're intentionally playing on another battle server, you should get the best possible ping. That of course doesn't work when there are planetary conquest matches and you get say EU vs Japanese players. I still remember the amount of lag, it was just downright hilarious. But EU vs US works perfectly fine. CCP have been strongly opposing any strong connection with EVE and DUST. While DUST could have more impact, the planetary interaction and sov of a planet would need to be included and influence of DUST players should have a deciding factor of resolving profits someone could have in EVE from it. That would make EVE and DUST communities more affecting each other, but deciding to get DUST on console was only a problem making decision. No, deciding to put Dust on a last generation console with only 256mb of ram was a problem making decision. Hiring a devteam out of a country that has had zero experience working with consoles in the last decade, let alone the conundrum that is the cell processor of the PS3, was a problem making decision. Choosing UE3, an engine meant primarily for closed environments, for a massive open world when it's KNOWN that it has texture pop-in issues, was a problem making decision. Centering the game around the massive inventory system and forcing the client to keep track of every single item on every single possible loadout of every single player in a match with limited memory was a problem making decision. You see, there are a lot of problem making decisions CCP made during the development of Dust. Simply saying "its on a console" wasn't really one of them. Especially since PC swings the door wide open to hackers, which is arguably a far greater problem making decision given CCP's inability to keep up with simple tickets in a timely fashion, let alone an army of free roaming F2P hackers. But yes, it has been publicly documented by CPM1 that EVE devs do not care at all about Dust. If and when we do get a port, and if by chance Dusts population eventually overtakes EVE with its own currently dwindling population, I'm certain Shanghai will happily return the favor of not giving a damn about EVE. So, based on all of above it seems pretty clear that DUST is unfortunately been destined for failure from the start? I am having a hard time understanding why support for DUST has been dropped. It's a great concept, all it needs is updated client for PS$ & PC. They probably just keep it out there to see if anyone is interested, and how much. It's too bad Sony made the decision not to make PS4 backward compatible. I wonder if the devs were thinking it would go the other way when they started? I think all it takes to make DUST more interesting to Eve players (and profitable for Eve overall) would be to make PI more important. Like, make it possible to get more of the same things from PI that you get mining asteroids. Be able to get tritanium from a planet maybe? Then players would focus a lot more on PI, since a planet will keep producing while you're offline (like if you're at work in RL, earning money to buy stuff for DUST). And if PI becomes central to the struggle for dominance in Null, then DUST will become something Eve players feel the need to invest in. Not only PI but moons also. There was a lot of potential even in Faction warfare with taking the structures in space. Well "support" wasn't dropped. Shanghai still supports the game and releases content updates, albeit with a scaled-down vision as we hit the memory limit a long time ago. Support from EVE-side, however, did stop. This is mostly due to two reasons. 1. (The official reason) CCP is uncertain of how long Dust 514 will be around and do not want to devote development resources to something which may not translate to a return in the long run. This reason is rather weak, as the game was predicted to die two years ago and instead has actually increased its profitability seemingly in defiance of that assessment. 2. (The real reason) EVE Devs, along with the CSM don't really care about Dust. CSM badgers them for specific things and Dust never falls into that spectrum of representation. Currently, EVE devs are given the impression that no EVE player cares about the FPS component at all, and so their work and mindset reflects this. If the CSM can be made to care, things will change. I doubt anyone here has the power to make them care. After the Rouge Wedding they won't tell us anything at all about DUST on PS4/PC. However it should be obvious that they're working on (at the very least) a PS4 version. Since the Legion trademark was dropped it might very well be a proper port/migration of DUST 514 to PS4. There has been no official update in over a year. Random gleaming says its still a thing, but nothing to talk on. Once Gun Jack and Valk are out, maybe we will get more info. 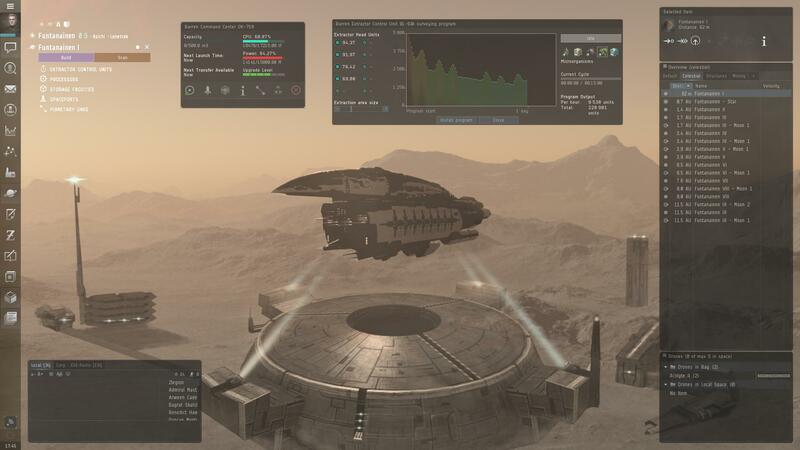 I would love to see the industry UI of Planetary Interaction set the foundation for interaction between Eve and a planetary PC FPS game. Colonies could be established and fought over, command centers and manufacturing could be contracted where both pilots and the boots on the ground can profit within a controlled economic structure. It is a solid foundation to build upon. The integration (such as it is) between dust and eve is one of the coolest things in online gaming - no other game really does anything like it. There is of course so much more potential. It would be great to see dust items manufactured by eve players, presumably with some resource that can only be gathered from within Dust (perhaps in some kind of pve or sandbox mode?). And of course having Dust influence PI / sov somehow would be great. There is a dust video that shows a battle happening above a planet. The guys one the ground are fighting around some kind of orbital cannon which ends up firing at a destroyer in space above dust. There is so much potential for cool interaction. I want to see more of it. So I really hope that CCP are quiet about Dust because they are preparing a new version of Dust that will run on PC + PS4!